HostGator is an online provider of Shared, Reseller, VPS and dedicated Web Hosting which was established in 2002 is a subsidiary of the Endurance International Group. Its services include Web Hosting, Reseller Hosting, VPS Hosting, Application Hosting, Windows Hosting, Dedicated Server, Business Email, Register Domains, Transfer Domains, Digital Certificates and CodeGuard.Hostgator provides plans suitable for all kinds of Businesses and also of all sizes and shapes. Give your business&apos;s online presence a perfect start for growing, choose a suitable plan also by considering features like Plan Pricing, Disk Space, Websites, Databases and many others from HostGator. HostGator claims to serve customers ranging from individual freelancers to highly professional organizations.It also offers 45 days for a complete refund if you&apos;re not completely satisfied with HostGator services. Make your plans from HostGator&apos;s affordable by using the HostGator coupon codes and deals and host your business plans online at reasonable prices. Hostgator offering maximum 50% discount on web hosting. Limited period offer. Get discounts on cloud hosting service from Hostgator. Save 30% by using this coupon code. Hurry Up!! Hostgator offering up to 50% off on wordpress hosting. Hurry Up!! Grab domain for less price at Hostgator. Save 5% on .com domain by using this coupon code on the checkout page. Grab 15% discount on .IN domain registration. Apply Hostgator coupon code on the checkout page to get discount. Hurry Up!! Get 40% on Cloud hosting at Hostgator. Sitelock and Codeguard Security packages Free for one year. Use the credit card, debit card or net banking to booking online. Hurry up! Now get Powerful Web Hosting plans at Hostgator which includes all benefits and add-ons at a discounted price. Purchase the web hosting plan of minimum 3 months and get flat 50% discount. Offer valid for all users. Use the coupon code and avail the discount soon. Now get lightning fast India hosting with one-click script installs, intuitive control panel and much more. Get Linux Shared Hosting which starting at the price of Rs.99/mo Only. Applicable on 1 Year Purchase. Offer applicable for all users. Do not miss this great deal. Subscribe to them today using the promo code. Launch your website in the cloud, with 2x faster load times and 4x more scalable environment. Get the cloud hosting plan and save flat 30% off on your purchase. Applicable for Minimum 3 months. Offer valid for all users. Hurry up!! Apply the coupon code and grab the offer soon. Register with the wide range of domains at the best reasonable prices at Hostgator!! 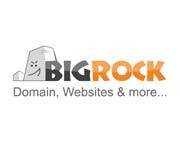 Get .website domain which includes two free email addresses & Free Add-ons worth Rs. 5000 at the price of Rs.99/yr. Offer valid for new customers only. Applicable on first year only. No code required. Grab the offer now. Get the best domain services at Hostgator!! Purchase .Com domain which Includes two free email addresses & Free Add-ons worth Rs. 5000. and get 5% discount. Offer valid for new customers only. Applicable on 2 years purchase only. Hurry up!! Do not miss these savings. Grab it now. Hostgator Amazing Offer. Now get 30% Off On Powerful Web hosting. Package Includes Unlimited Disk Space, Unlimited Bandwidth, 1-Click Script Installs, 99.9% Uptime Guarantee, 45 Day Money Back Guarantee, 24/7/365 Technical Support. Use the given coupon code to avail this offer. Limited Period Offer. Hurry up!